Warm weather can be unbearable for you to endure as an adult, and it can make your young children miserable. You must find an effective way to beat the heat that is suitable for your children’s ages and abilities and that also takes into account your need to care for your children. These are some of the many excellent ideas that you can consider when you are searching for fun ways to stay cool and comfortable on the warmest days of the year. Your home’s AC system may have trouble keeping up with your demands on very warm days. This is particularly true if it is not properly maintained. Scheduling AC maintenance service before the warm weather sets in is a great idea. Remember that an air conditioning tech can also repair your AC if it is blowing warm air or showing other signs of damage. Even though your children may be young, you do not have to feel restricted to staying indoors. Depending on the age of your children, there are many fun places that you may go to stay cool. For example, you can take your children to the local children’s museum or to an indoor play area for a few hours. When you plan these outings during the hottest hours of the day, you can avoid being in your home at these times. Another wonderful idea to consider is to take your kids out to the backyard and turn on the sprinkler. You can even invite a few friends over for a backyard playdate. Add water guns or water balloons for extra fun, depending on the age of your children. You and your children will feel cooler when you lower your body temperature with cool foods and liquids. The summer months are the ideal time to indulge in ice cream, snow cones, and other cold sweet treats. You can take a fun outing to the local ice cream shop or snow cone venue on a warm afternoon to get away from the house and to indulge in a delicious way when you need to beat the heat. 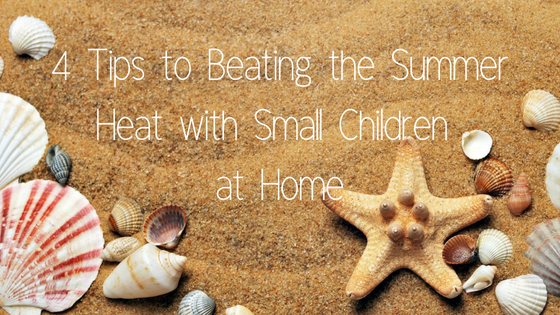 Keeping your kids comfortable and happy during the warmest days of the year may require some effort and planning. Remember to vary your plans for each day so that every day brings new joy and excitement to your lives.